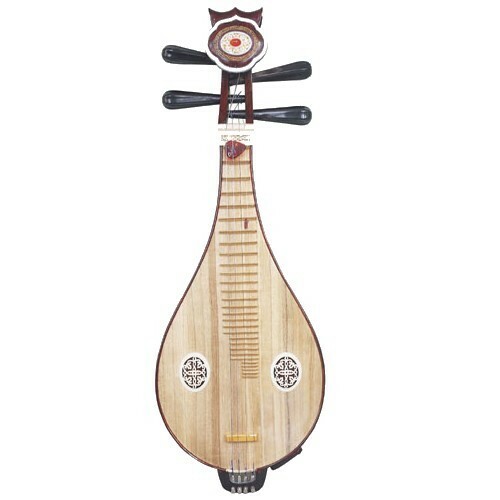 Liuqin (Chinese mandolin) is a high pitch-plucking instrument. For all the difference in size, its structure is similar to that of the Pipa, except that it is smaller and uses plastic pick rather than finger nails to play. Crisp and bright, it is the highest-pitched member of the plucked strings but its volume is small. Its tone is bright and clear and is extremely beautiful in performing solos. It can cut right through the heaviest sound the orchestra can make. As such, it is also frequently featured in cadenzas. Liuqin is capable of producing an exciting and agitating tune when played loudly, and a sweet and touching tune when played softly.